PRICED WELL BELOW ASSESSED VALUE! 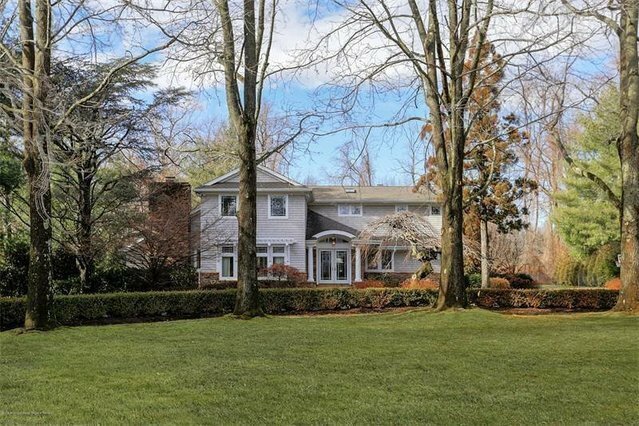 Artfully set in the estate section of Rumson on a quiet cul-de-sac with resort-like grounds, stunning mature landscaping, beautiful pool cabana! Brilliant open layout, oversized Anderson Architectural windows with transoms allowing beautiful natural light throughout. Gourmet kitchen with white cabinetry, high end SubZero Viking appliances, granite countertops breakfast area opens to family room offers access to screened porch overlooking grounds. Great room w/ handsome stone FP vaulted ceiling. Custom millwork hardwood flooring throughout, expansive master retreat w/ private terrace, walk-in closet spa-like en-suite bath. Generous sized BRs w/ great closet space, finished bsmt w/ full bath play room much more. MINS TO NY FERRY!